Hello again! I hope everyone is staying warm! It's been very cold and snowy here in upstate NY-we had a pretty big storm this past weekend. 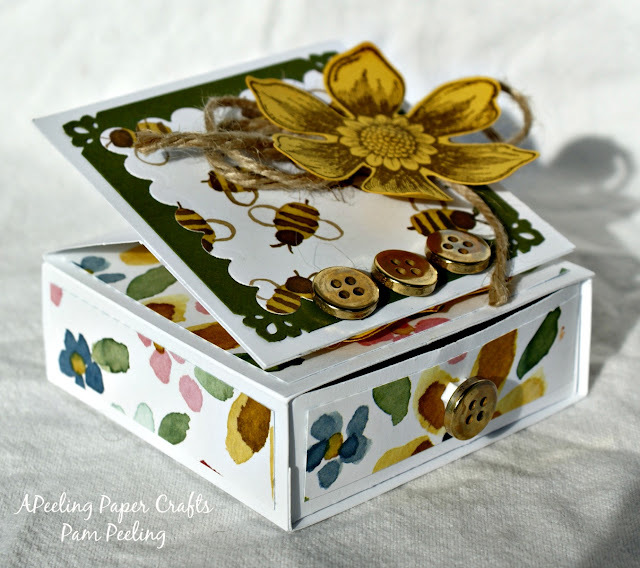 A nice few days to stay inside and paper craft! I really like making 3D cards and projects and wanted to share one with you today. 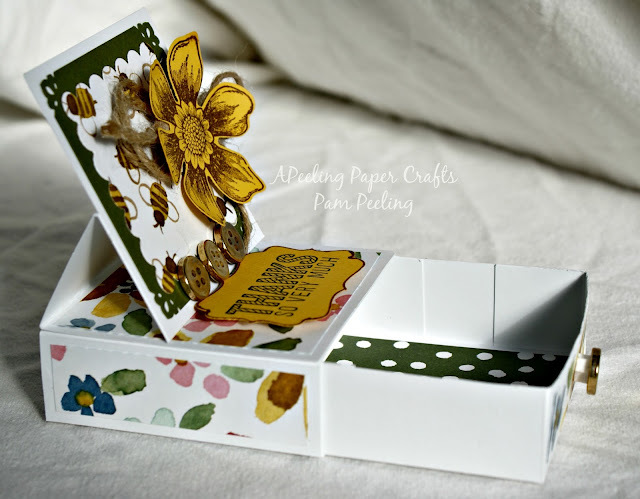 I made a Mini Easel Drawer Card! The easel part is about 3" square so it's not too big. The drawer is big enough to put a few pieces of candy. The easel folds down flat so you could put in in a little box to give as a little gifty. For the easel cut a piece of cardstock at 6" x 3". Score at 1 1/2" and 3" I used Whisper White here. For the easel front cut a piece of cardstock at 3" x 3." Glue it to the shortest scored part of the easel. Cut 2 @ 2 3/4" x 3/4" for the wrap around piece. Box Liner 2 3/4" x 2 3/4"
Drawer front and back cut 2 @ 2 3/4" x 3/4"
Easel front 2 3/4" x 2 3/4"
You need to add a little weight to the easel bottom so it stays standing upright. It also needs something to keep it in place-I used the sentiment and popped it up a little. You could use a brad or button etc. I hope you try making your own!